Get an idea of how it looks with the roof up and down. 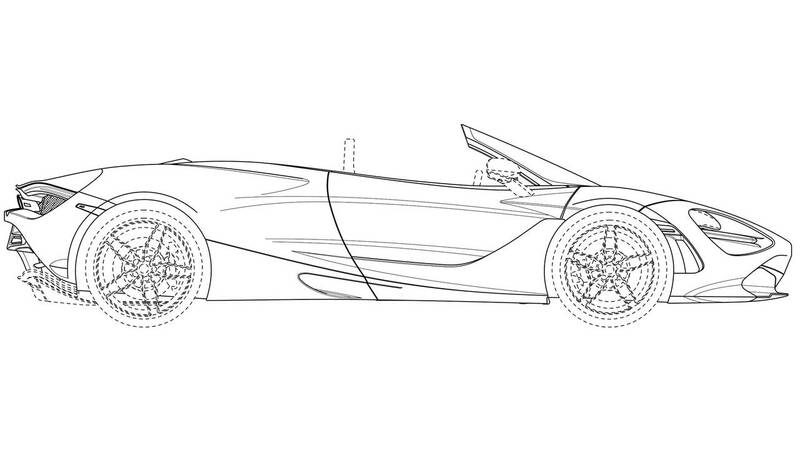 A pair of design registrations from McLaren provide a great glimpse at the brand's idea of what the droptop McLaren 720S Spider could look like. Let's hope the real thing is this attractive. 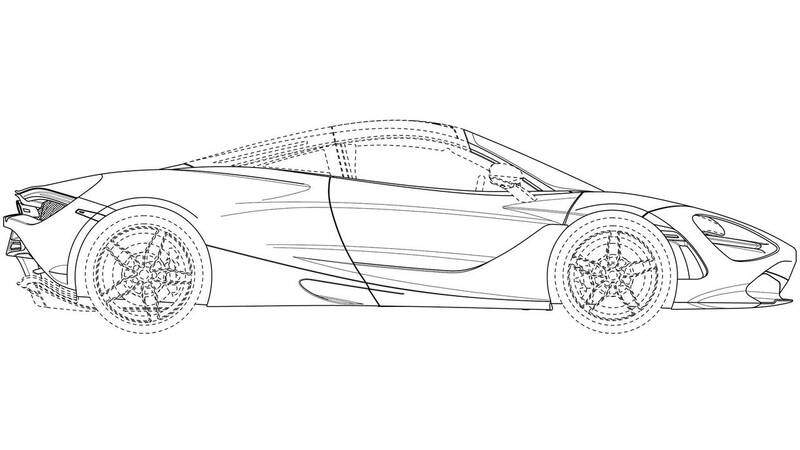 McLaren 600LT Spider Coming For 2019MY In U.S.
Like the Spider variants of the 650S and 675LT, the open-roof 720S appears to have a folding hardtop that provides a mix of all-weather protection and wind in the occupants' hair when the weather is right. Judging by the photos, it appears that the rear glass sits right behind the passenger compartment when the roof is in place, and there might be flying buttresses flowing backward that still give the machine a coupe-like silhouette. 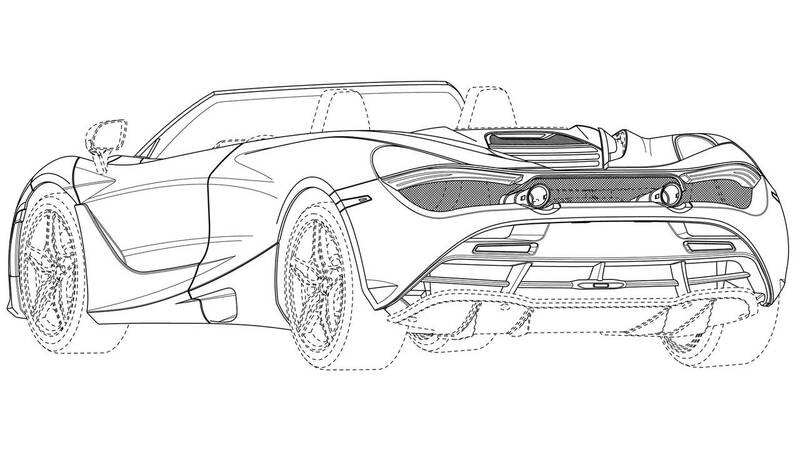 When the roof is down, the 720S Spider has clean lines that give it a very sleek appearance. Compare the two silhouettes by using the slider above. 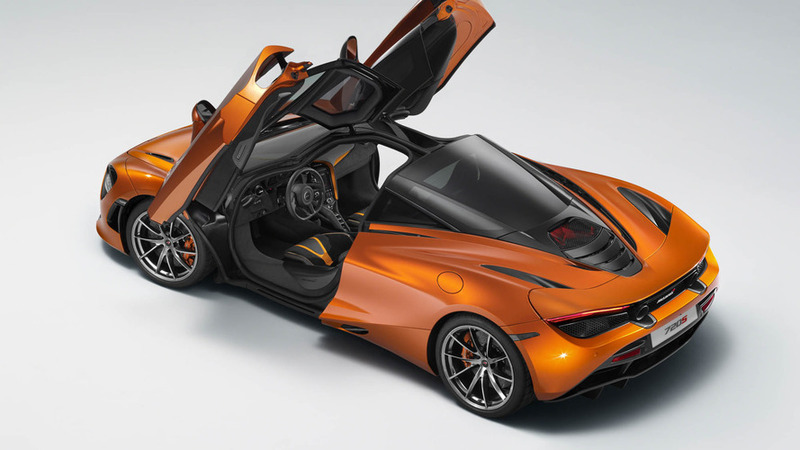 The folding roof and its power mechanism would almost certainly add weight to the 720S, but the two models should be otherwise identical. 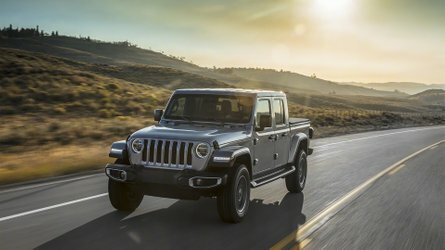 Power would still come from a 4.0-liter twin-turbo V8 making 710 hp (529 kW) and 568 lb-ft (770 Nm) of torque that runs through a seven-speed gearbox. 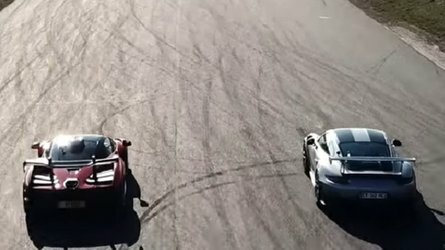 Lots of drag race videos show that the coupe is one of the quickest supercars in its class. 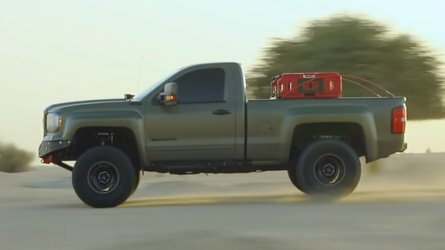 The additional pounds of the retractable top shouldn't have too big of an effect on the acceleration and add the visceral thrill of hearing the wind. 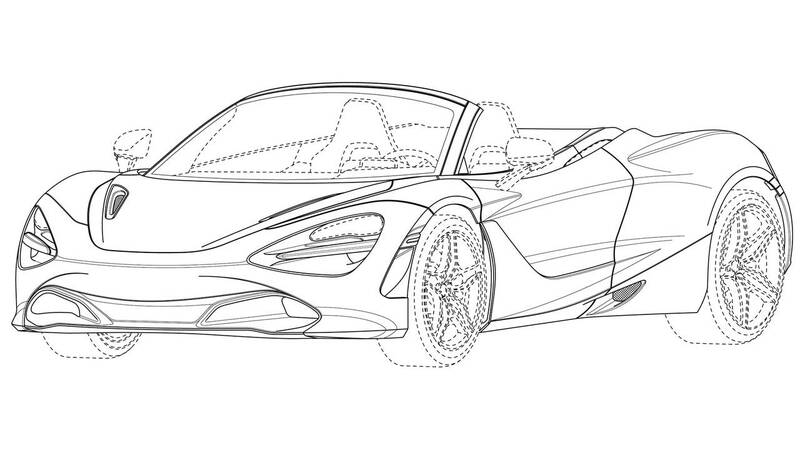 Unfortunately, there are no details yet about when we might see the 720S Spider in production guise. 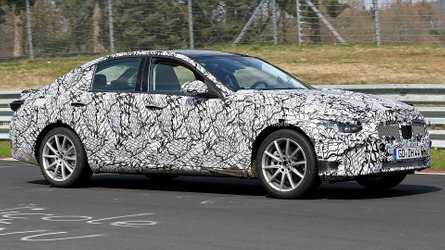 There are no spy shots of it under development yet. 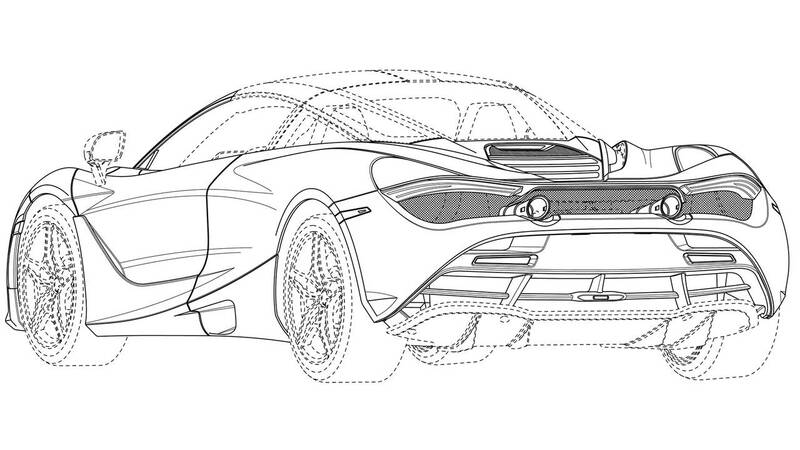 McLaren filed these design trademarks in February 2017, but they European Union Intellectual Property Office didn't publish them until recently. 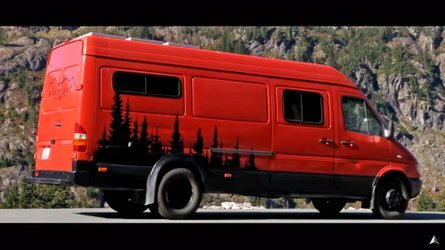 So the company figured out the model's look quite a while ago. Don't be surprised if the 720S Spider goes on sale sometime in 2019.